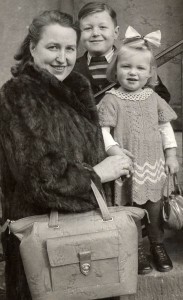 The author's family, bound for Pier 21 in 1951. Between 1928 and 1971, the echoing halls of Pier 21, a warehouse on the Halifax waterfront, were the first welcome to Canada for over 1 million immigrants. Thousands of refugees, war brides, children and soldiers also passed through its doors. Pier 21 stood empty for nearly 3 decades after the last boat arrived before it reopened in 1999, this time as a museum dedicated to telling the stories of the immigrants who left home for a new life abroad. It’s now one of the most acclaimed museums in Canada, showing how immigrants were processed and sent across Canada by train. Hop inside a passenger train carriage to watch videos of immigrants telling their own moving stories and memories of coming to Canada. Visitors can also search for information about their family’s arrival at Pier 21 and buy a photograph of the ship that carried them to Canada. The museum can be a bit difficult to find. It’s behind the VIA Rail station and around the side of the Westin Hotel. Simply walking south along the waterfront is the easiest way to find it. Opening hours: Seasonal. Daily between May 1 to November 26, 9:30am to 5:30pm. November 27 to March 31, Tuesday to Saturday, 10am to 5pm. April 1 to April 30, Monday to Saturday, 10am to 5pm.